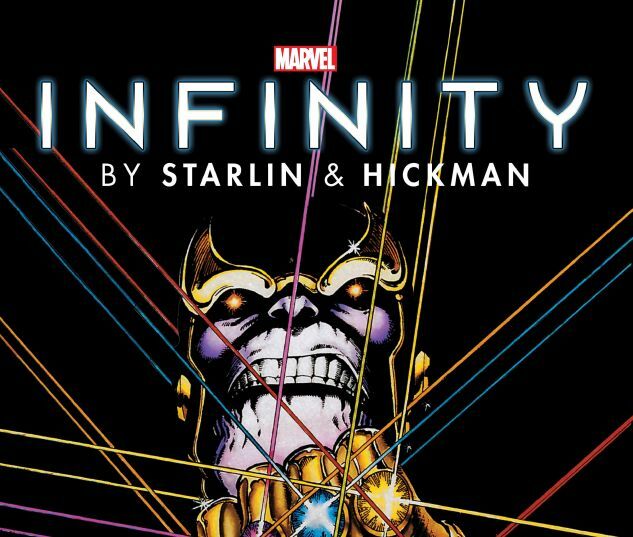 Collecting Infinity #1-6, New Avengers (2013) #7-12, Avengers (2012) #14-23 and Infinity: Against the Tide Infinite Comic #1-2. 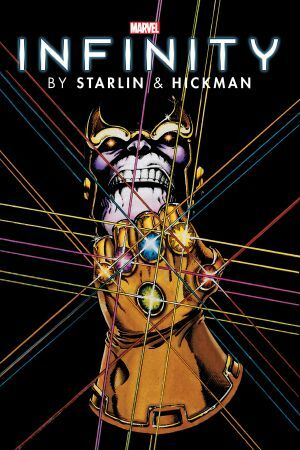 Thanos makes his world-shattering return, and his armies fire the opening shots of a galactic war that will be fought both on Earth and in deep space - with our heroes caught between both battles! As the mad Titan's secrets are revealed, the Inhumans' city of Attilan falls, and the members of the Illuminati find themselves on the front line! And as every Origin Site on Earth goes active, the Builders enter the Marvel Universe. But can the Avengers return to Earth in time to save it, when betrayal in the Galactic Council has left them prisoners of war?